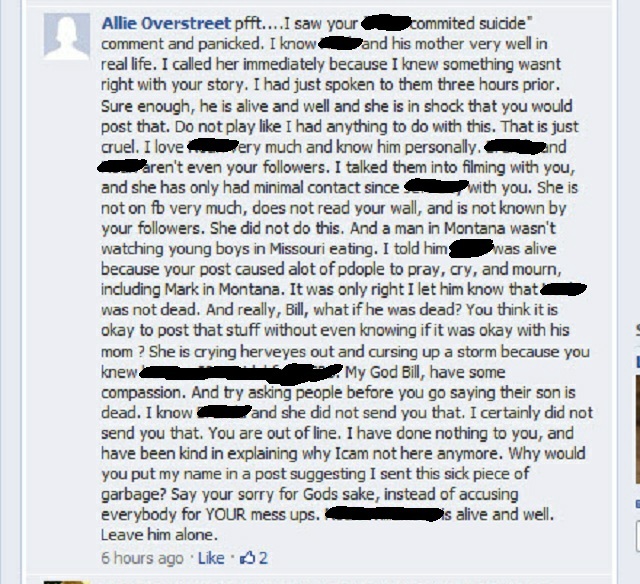 Allie Overstreet files Motion to Dismiss Bill Windsor’s Verified Complaint. 1. On May 30, 2013, an attorney purportedly acting for DEFENDANT ALLIE LORAINE YAGER OVERSTREET (“DEFENDANT”) filed a MOTION TO DISMISS AND INCORPORATED SUGGESTIONS IN SUPPORT. 2. Local Rule 21.2 requires that attorneys file an Entry of Appearance. No such Entry of Appearance has been served on the PLAINTIFF, and no such Entry of Appearance is shown on the Court Docket. 3. Pursuant to Local Rule 21.2, PLAINTIFF asks that this MOTION purportedly on behalf of DEFENDANT ALLIE LORAINE YAGER OVERSTREET by Matthew J. O’Connor or the O’Connor Law Firm be stricken due to the fact that Matthew J. O’Connor and the O’Connor Law Firm failed to file an appearance and cannot be recognized by this Court. The purported MOTION TO DISMISS claims RSMo. § 508.010 requires that the Plaintiff must bring an action where the tort or injury occurred. This is false. This attorney has clearly misrepresented to this Court what the law reads. RSMo. § 508.010 (8) provides that “In any action for defamation or for invasion of privacy, the plaintiff shall be considered first injured in the county in which the defamation or invasion was first published.” In this action, there is defamation, and the county where the defamation was first published is Lafayette County Missouri. RSMo. § 508.010 (14) provides that “A plaintiff is considered first injured where the trauma or exposure occurred rather than where symptoms are first manifested.” In this action, this is Missouri. As the PLEADINGS in this action explain, this case has to do with libel, slander, defamation, stalking, and harassment on the Internet. Unlike the bricks and mortar world, postings on the Internet are distributed globally within a nanosecond. The PLAINTIFF has been injured worldwide. The PLAINTIFF first learned of the initial injuries when in Georgia. The PLAINTIFF has clearly been damaged in Lafayette County, Missouri as well, and if this Court feels it is necessary, the PLAINTIFF seeks leave to amend the PLEADINGS to so state. The pro se PLAINTIFF drafted the pleadings in a manner that he felt negligence was adequately specified. The DEFENDANT made false statements that she knew were false, and she made those false statements to damage the PLAINTIFF. The DEFENDANT had a duty to not libel, slander, defame, harass, stalk, invade the privacy, or conspire with others to damage the PLAINTIFF, and she did all of the above. The DEFENDANT had a duty to protect PLAINTIFF from injury. 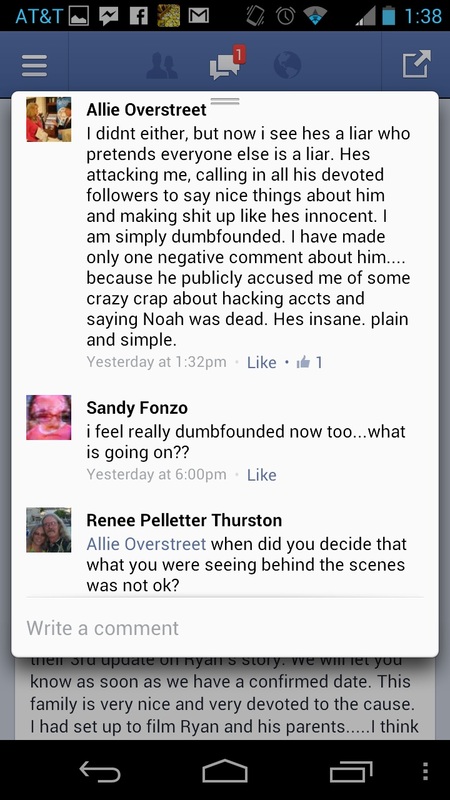 The DEFENDANT failed to protect the PLAINTIFF. The PLAINTIFF was injured as a result. The DEFENDANT has an obligation to abide by the law, and she failed to do so. The PLAINTIFF’S injuries were caused by the DEFENDANT. If this Court feels more specificity is needed, the PLAINTIFF seeks leave to amend the PLEADINGS. The PLAINTIFF has been diligently attempting to obtain needed discovery, but he has been denied those subpoenas by the Clerk of the Court. A motion to compel the Clerk to provide the subpoenas is pending with the Court as well as a motion for extension of time to respond to this MOTION TO DISMISS. The PLAINTIFF is filing this RESPONSE as a hearing on the motion for extension cannot be heard until July 16, 2013. WHEREFORE, PLAINTIFF prays that this Court enter an order denying the MOTION TO DISMISS BY DEFENDANT ALLIE LORAINE YAGER OVERSTREET; and grant such other relief as the Court deems appropriate. 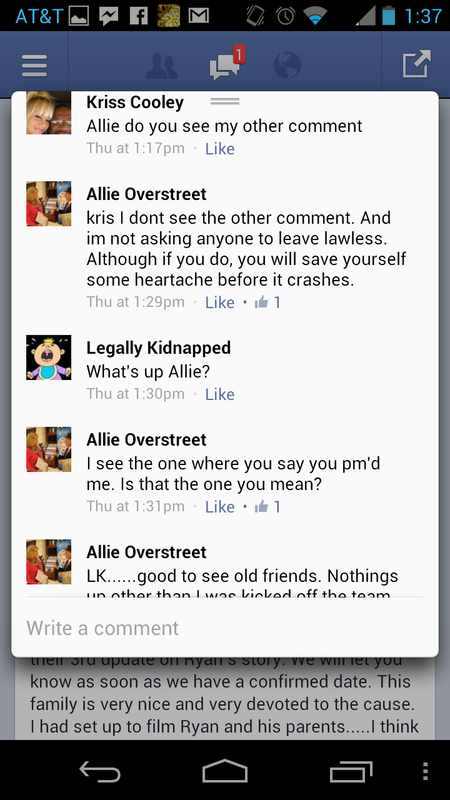 This entry was posted in Allie Overstreet, Bill Windsor, Civil Litigation and tagged Allie Overstreet, Bill Windsor, Civil Litigation on May 30, 2013 by admin.